This is a New York story involving the lives of a number of people. Sam finds a child on the subway and decides to look after him. Sam’s other relationships involve: Mississippi, a young singer who he wants to love; his friend, Annie, who has alopecia and is struggling with finding out about herself and her relationships; and his sister, Mary Catherine, and her beau, Charlie, who are thinking about moving to LA. 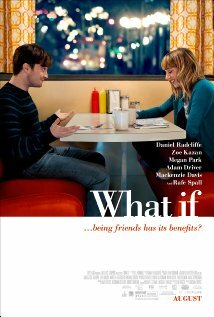 This is a film primarily about relationships and how to love other people. It’s about the modern lives of these New Yorkers, and how they are trying to find happiness. 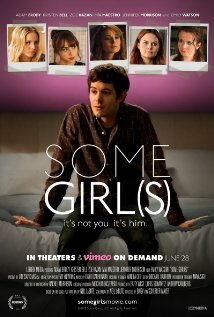 The acting was terrific in this flick (my favourite was Zoe Kazan) and the story ran along very smoothly. 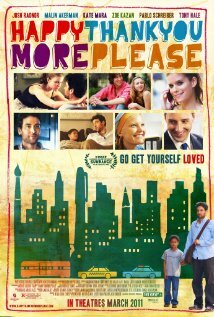 It didn’t knock my socks off, but I do like a film about New York. Still worth a watch. Paul Dano is Calvin, a novelist who had a successful book published in his youth, and is now trying to write another novel. It has been ten years and he is suffering from writer’s block. He consults with his shrink who sets him a small writing assignment to try and unblock the creative flow. Calvin writes about his dream girl, Ruby Sparks, and eventually the dream girl becomes a reality – he finds her downstairs in his house! Ruby has no idea that she is the stuff of fiction or that Calvin can make her do anything through his typewriter. The relationship journeys along naturally the way most relationships do, it goes up and down. But when Calvin thinks that Ruby is losing interest in him, he takes to his typewriter to change fate. It all backfires (as can happen when power, love and the supernatural are mixed up) and Calvin is forced to face reality without Ruby. Perhaps this is the slap in the face that Calvin needed all along. This is a gorgeous film that I very much enjoyed. 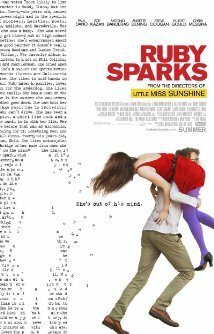 There seems to have been a void of good romantic comedy films of late and I was relieved to find that Ruby Sparks ‘ticked all the boxes’ – solid acting, good support roles, humour, and of course, boy meets girl, but with an interesting and charming twist.